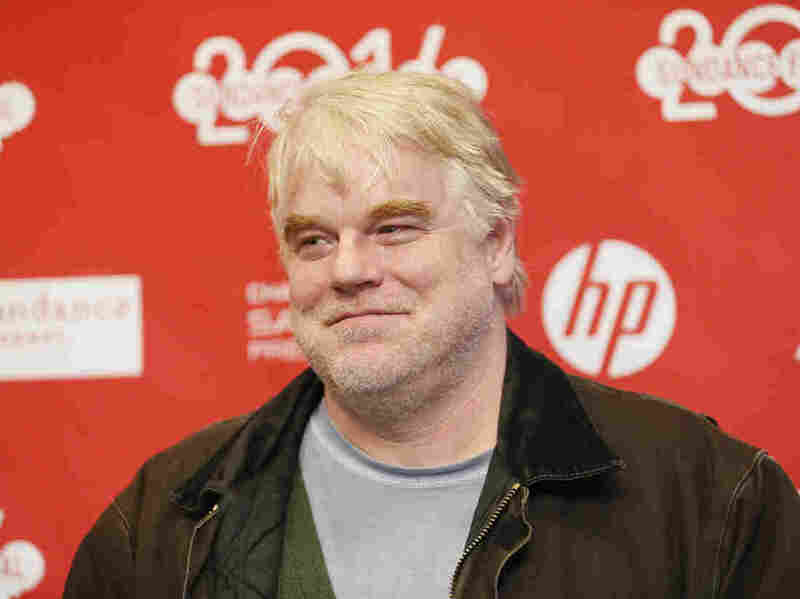 Philip Seymour Hoffman, Oscar-Winner, Found Dead At 46 : The Two-Way The actor, whose repertoire includes an eclectic array of challenging roles, won a best actor Oscar for the title role in the 2005 film Capote. Philip Seymour Hoffman poses at the premiere of the film A Most Wanted Man during the 2014 Sundance Film Festival last month in Park City, Utah. Actor Philip Seymour Hoffman, who won a best actor Oscar for the title role in the 2005 film Capote, was found dead in his Manhattan apartment at the age of 46. A New York Police Department spokesman tells NPR that authorities are "investigating Hoffman's death as a possible drug overdose." The Wall Street Journal quotes a police official as saying the actor was found dead in the bathroom of his West Village apartment late Sunday morning. Variety notes that last year Hoffman "completed a 10-day substance abuse program for heroin. The actor later revealed that he had been addicted to the drug when he was younger." The New York Times says Hoffman has spoken in interviews about "falling off the wagon" last year after staying clean for 23 years. A statement issued by the actor's family said: "We are devastated by the loss of our beloved Phil and appreciate the outpouring of love and support we have received from everyone." "This is a tragic and sudden loss and we ask that you respect our privacy during this time of grieving. Please keep Phil in your thoughts and prayers," the statement read. Hoffman's first role was as a defendant in a 1991 episode of Law & Order. He went on to appear in films Twister (1996), Boogie Nights (1997) and The Big Lebowski (1998). He was nominated for a best supporting actor Oscar for the 2007 film Charlie Wilson's War and was in the process of filming a sequel to The Hunger Games. In a 2012 interview with NPR's Morning Edition, Hoffman, who was then appearing on Broadway in the lead role of Willy Loman in Arthur Miller's Death of a Salesman, said it is a play that provokes thinking on all aspects of life, including family. "It really seeps into why we're here," Hoffman told host Steve Inskeep. "What are we doing, family, work, friends, hopes, dreams, careers, what's happiness, what's success, what does it mean, is it important, how do you get it?" In 2009, he told Fresh Air that acting is a bit like athletics. "What it takes to be a great athlete is the same thing that it takes to be a great actor," Hoffman said. "That kind of concentration, that kind of privacy in public and that kind of unselfconscious kind of experience are very similar." "Hoffman continued to solidify his status as one of his generation's finest actors in 2008 with two very different roles. By choosing to play the lead in Charlie Kaufmann's directorial debut Synecdoche, New York, Hoffman again displayed his fearlessness, as well as his desire to work with the very best writers and directors he can find. That willfully difficult film never connected with mainstream audiences, but that was not true at all for Hoffman's other picture of 2008, Doubt. John Patrick Shanley's cinematic adaptation of his own award-winning play earned acting nominations for Hoffman and his three costars (Meryl Streep, Amy Adams, and Viola Davis) from both the Screen Actors Guild, and the Academy." "Over the following years, Hoffman would continue to appear in a variety of interesting films, like Pirate Radio, The Ides of March, and Moneyball. In 2012 he again collaborated with Paul Thomas Anderson, playing a cult leader in the drama The Master opposite Joaquin Phoenix. For his work in that movie, Hoffman got a Best Supporting Actor nomination from both the Screen Actors Guild and the Academy of Motion Picture Arts and Sciences." Hoffman was born in 1967 in Fairfort, N.Y., and became interested in acting at an early age. The AP says that in his Oscar acceptance speech for Capote, he thanked his mother for raising him and his three siblings alone and for taking him to his first play. The actor is survived by his partner of 15 years, Mimi O'Donnell, and their three children.